TONY Hart will have a permanent memorial in Maidstone it has been revealed. The much-loved artist who was born in the county town sadly died at the age of 83 on January 18. He will be remembered with a plaque and a piece of artwork at the Hazlitt Arts Centre in Earl Street. Cllr Brian Moss, Cabinet member leisure and culture said: "A commemorative plaque will be a permanent reminder of a well-known local artist. We hope that one of his pictures can also be displayed. 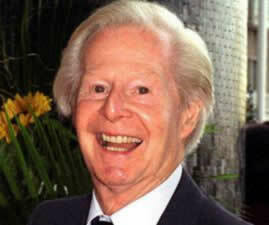 "Tony Hart was born in Hastings Road in Maidstone and the arts centre is a fitting venue in which to commemorate him. Perhaps this is a tradition we could continue in other appropriate cases." Nearly 6,000 people had joined a group entitled Maidstone would like a statue or memorial of Maidstonian Tony Hart on social networking site Facebook and their wish has now come true.